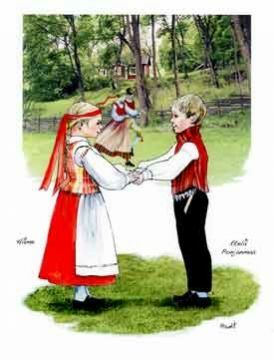 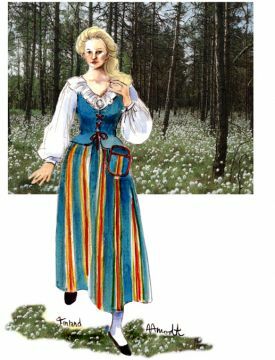 Finnish National Costumes were the offspring of National Romanticism. 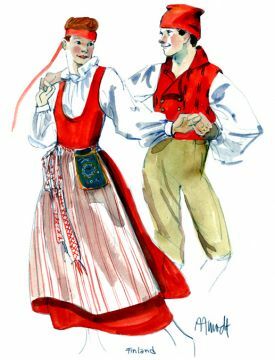 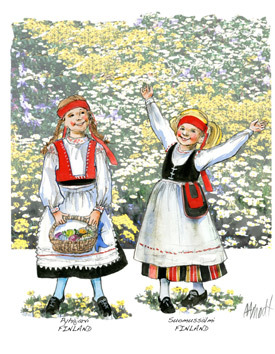 Today Finland has about 500 National costume models. 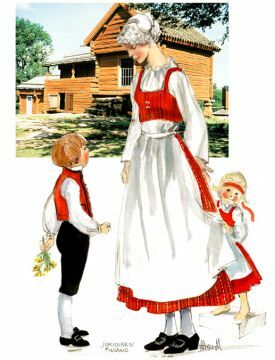 It’s divided in two groups, Western and Karelian or Eastern. 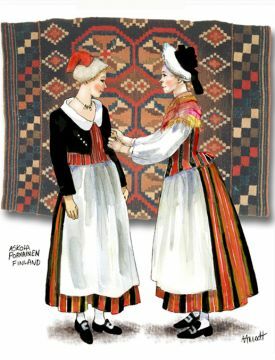 Western Finnish is a colorful array of stripes arranged in different patterns in one costume. 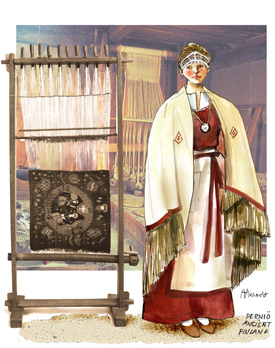 Cloth was used generously, as cloth was considered to be a sign of wealth. 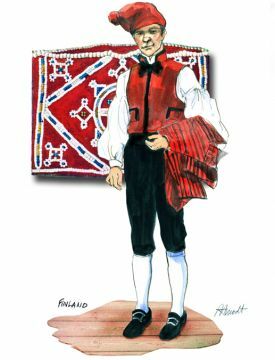 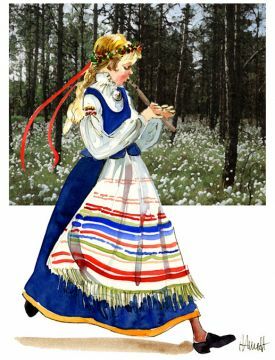 Karelian colors in costumes were mostly off-white, black, indigo or red. 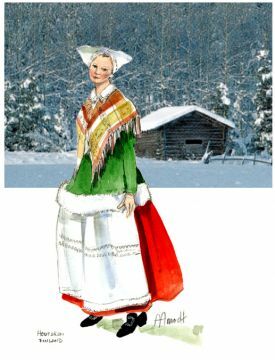 Cloth is used sparingly in comparison with Western Finland. 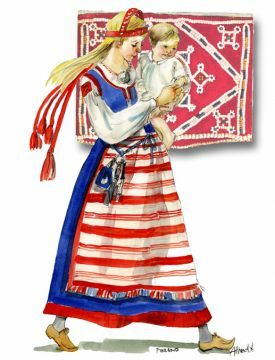 Karelian costumes lavishly decorated with colorful embroidery and traditional lacework.